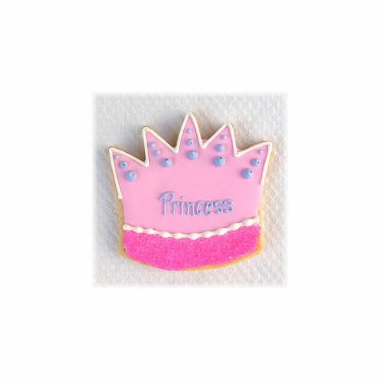 Your little princess will love these princess cookies - featuring a pink tiara that is not only so much fun to receive- they are so much fun to eat! 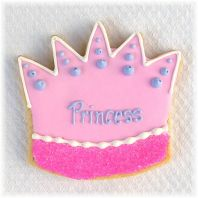 These generous cookies measure 4 1/2" x 4" and price includes individual cellophane bagging with matching ribbon. The feedback from our customers on our custom cookies is always outstanding - "delicious", "beautiful", and "scrumptious" are words we often hear!